…unless of course you want to that is? SeaMedic’s unique modular design allows you to select the right kit for your vessel – simply chose which modules you require. All the components have been carefully selected by The First Aid Pharmacist, Ian Hardy to best cater for eventualities aboard. Finding your way around each kit is simple – every item has its own location and is held securely in place* - the modules are designed as “working” kits, you simply replace the individual items as they are used or reach their expiry date with the help of the laminated checklist. SeaMedic represents a major step forward in marine medical hardware, having been designed to cater for the needs of everyone from day sailors through to ocean yachtsmen and circumnavigators. The modular SeaMedic system allows you to easily enlarge your medical kit as your sailing becomes more adventurous. The rugged clip-together boxes include lift out trays for ease of use. 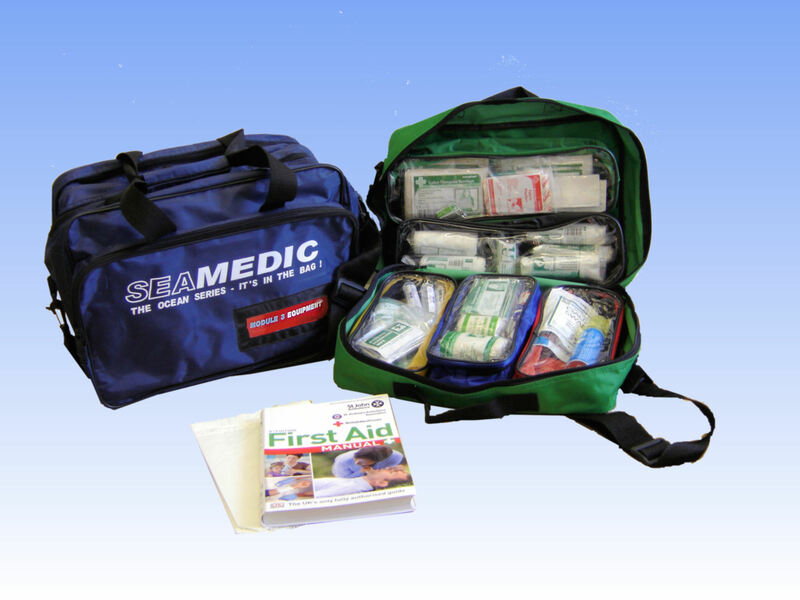 The contents of each kit have been carefully selected by Ian Hardy M.R.Pharm.S, The First Aid Pharmacist, incorporating the very latest developments in first aid equipment. “The principle is simple…”, explains Blue Water Supplies Managing Director Julia Buesnel, "…we started from the top and worked down. We wanted a kit to cater for the serious sailor, the Rolls-Royce of marine medical kits if you like. It was obvious that not everyone needed the full kit, so this is how the modular system came about".